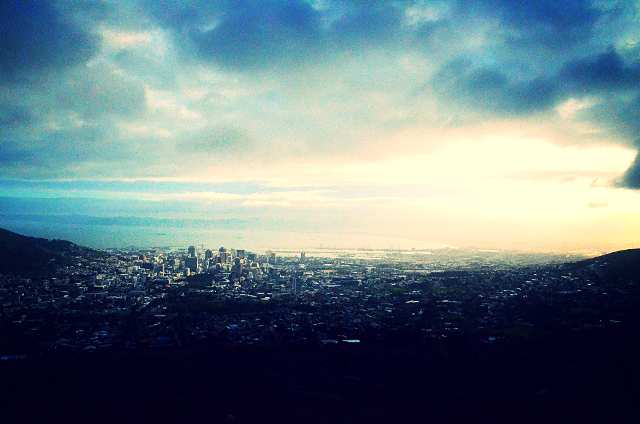 There’s no excuse for being bored in Cape Town and if you are, you’re either lazy, or poor. Great things lie beyond your doorstep, but don’t forget your wallet on your way out. Everyone is different and there’s lots to do if you are open to the experience, Cape Town has something for everyone. I decided to step-out and discover what Cape Town has to offer and this is what I found. Here are six things to consider doing when visiting the Mother City. Cape Town offers countless surf spots to satisfy your surfing needs, whether you’re an advanced surfer or a beginner, it doesn’t matter, there’s a wave for every kind of surfer. 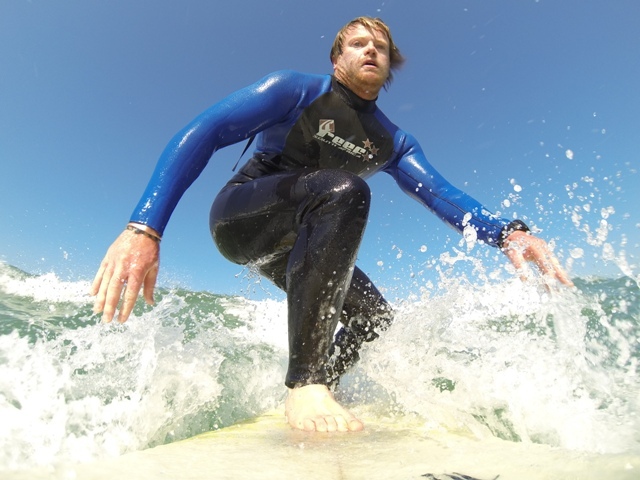 Surfing in Muizenberg is probably your best bet if you are new to surfing and there are numerous surf shops and places to rent surfboards. The wave at Muizenberg is also very forgiving but you will have to contend with crowds, especially on weekends. If you are an intermediate or advanced surfer you may want to take a drive to Kommetjie or Noordhoek for a more exciting ride or explore less crowded spots along the coast, the choice is yours. Surfing is a great option if you are keen for a bit of adventure and the best part of it is that it’s a relatively cheap activity that won’t leave a dent in your wallet. You can’t say that you’ve experienced Cape Town until you have scaled Table Mountain, so why not do it? If hiking is up your alley then this is a great way to conquer Table Mountain but be sure to do your research beforehand and pay attention to the weather as conditions can change in the blink of an eye. If you are looking for the easy way up, then the Table Mountain Aerial Cableway is at your service. Once at the top, Table Mountain will provide breathtaking views of the whole city and will probably leave a lump in your throat. Either way, Table Mountain is there to be conquered and you should seriously consider it. 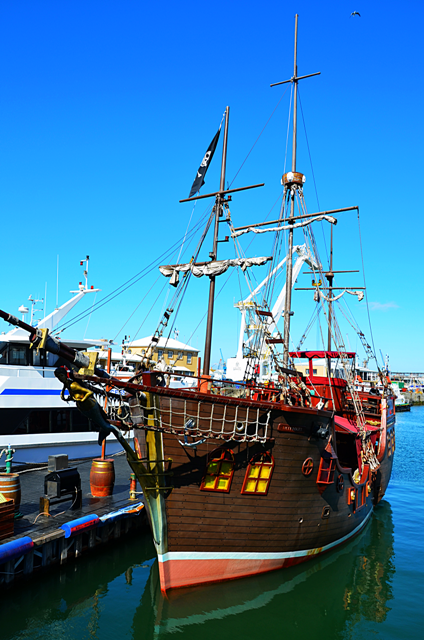 The V&A Waterfront in Cape Town is a popular hangout for locals and tourists alike and offers a plethora of activities for the whole family, from food, shopping, boat trips and daily entertainment, there’s always something to do here. The V&A Waterfront is also home to the Two Oceans Aquarium which allows you to get up close and personal with the wonders of the ocean and should be high on your priority list when you make your visit. 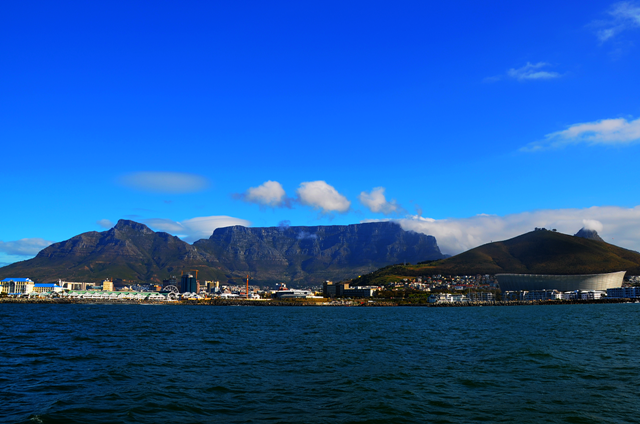 There are various boat rides available to you and they provide a unique perspective on Cape Town. My personal suggestion is to book a ride on the Jolly Roger Pirate Ship which makes for a fun boat trip out to sea, especially if you have children. 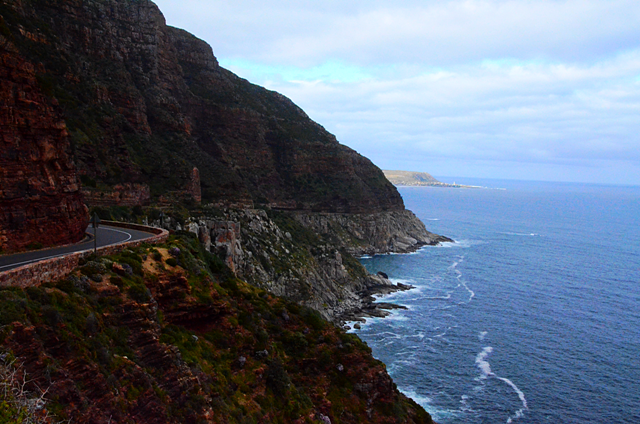 If you are keen for some spectacular Cape scenery, then all you have to do is get in your car and take a drive along Chapman’s Peak Drive, you won’t be disappointed. There are many spots along the way where you can stop and soak in the scenery, just be sure to have your camera ready to snap all the special moments. Chapman’s Peak offers awesome views of Hout Bay and Noordhoek Beach, but remember this is a toll road so there is a fee to use this section of road. If you don’t want to drive then feel free to use your legs and walk or you can tackle the hills with your bicycle. Chapman’s Peak is definitely a must-do activity if you are in Cape Town so be sure to check it out. If you are in Cape Town, do yourself a favor and visit Cape Point. 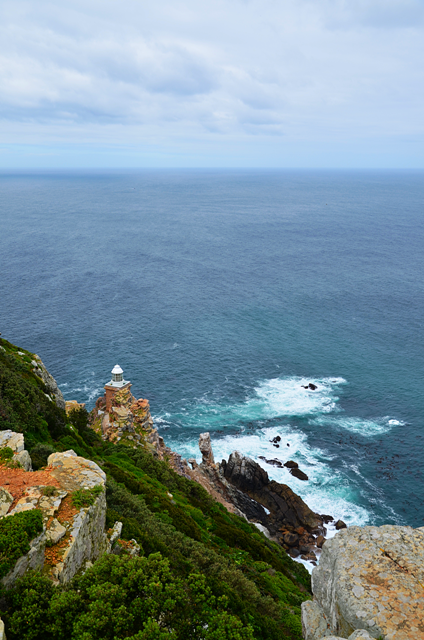 Cape Point forms part of the Table Mountain National Park and offers great walks with stunning scenery to keep you company. Cape Point is the most south-western point of the African continent and was named the ‘Cape of Storms’ by Bartolomeu Dias who navigated it in 1488. Be sure to make your way up to the lighthouse which was erected in 1859 and stands some 249m above sea-level. A second, more effective lighthouse was erected in 1914 and stands only 87m above sea level and is the most powerful lighthouse on the South African coastline. There are many viewpoints which offer stomach-churning views of the cliffs and ocean below, so tread carefully here. 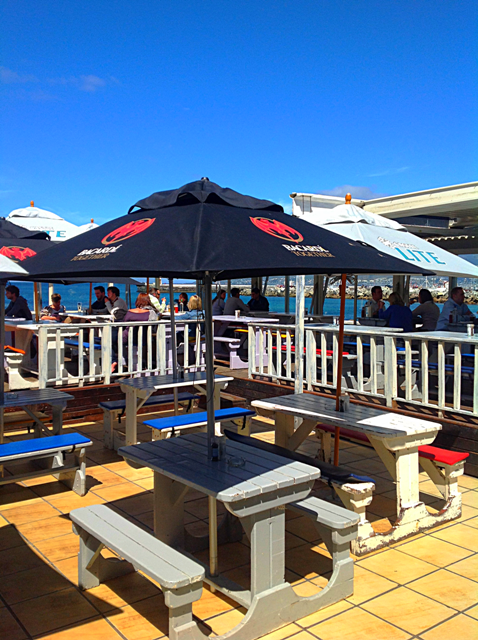 Apart from offering an arty shopping experience, Kalk Bay also offers superb dining options overlooking Kalk Bay Harbour and False Bay, the perfect place to kick back and relax. As an avid beer drinker and lover of seafood, I recommend you pay a visit to the Brass Bell which serves delicious seafood meals and has enough beer to quench the biggest beer thirst. To make the deal that much better, you have the ocean by your side and if you’re lucky enough you may even spot a whale or two breaching offshore. Kalk Bay also offers a pretty good wave when conditions are right so you might want to keep your surfboard handy in case the ocean plays it’s part, but remember, don’t surf if you have beer in your belly. This entry was posted in News Desk and tagged Activities in Cape Town, Beer, Boat trip Cape Town, Brass Bell, Brass Bell Cape Town, Cape Point, Cape Point walk, Cape Town, Cape Town South Africa, Cape Town Travel, Chapmans Peak Cape Town, Chapmans Peak Drive, City of Cape Town, Eating Cape Town, Hiking Cape Town, Hiking Table Mountain, Hout Bay Cape Town, Jolly Roger Pirate Ship, Kalk Bay, Kalk Bay Surfing, Kommetjie, Mother City, Noordhoek Beach, Seafood, Seafood Cape Town, Shopping Cape Town, surfing, Surfing Cape Town, Surfing Muizenberg, Table Mountain, Table Mountain Aerial Cableway, Table Mountain National Park, Table Mountain View, Things to do in Cape Town, V&A Waterfront Cape Town, Waterfront, waves. Bookmark the permalink. Biggest wave ever ridden or media hype?